The elder Menendez brother would change some things "if he could go back." 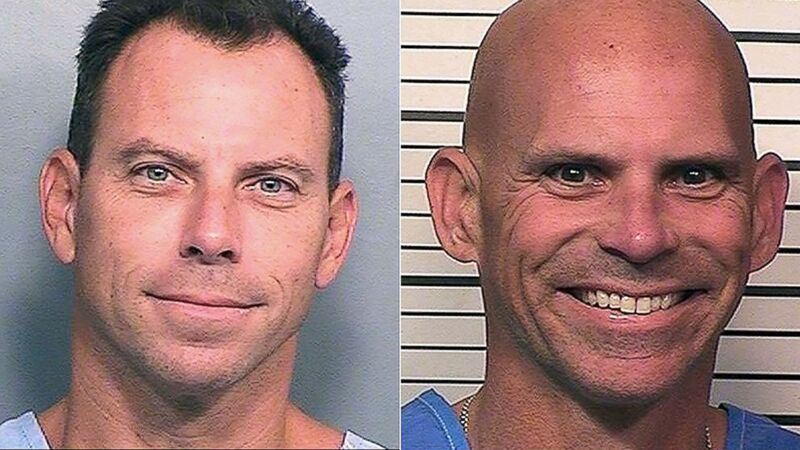 Lyle Menendez, one of the two affluent California brothers convicted for the 1989 murders of their parents, spoke out to DailyMailTV in his first interview since he reunited with his brother, Erik Menendez. The brothers came face to face earlier this month for the first time in 22 years after Lyle was transferred to the R.J. Donovan Correctional Facility, where Erik had been housed since July 2013, said Robert Rand, a journalist who has covered the case since 1989 and was a consultant for NBC's 2017 TV series on the brothers. Lyle "ended up bursting into tears" upon seeing his brother, he said in an exclusive interview with DailyMailTV, a preview of which was shared with ABC News' "Good Morning America." "It was just something I wasn't sure was ever going to happen," Lyle said. "It was just a remarkable moment." 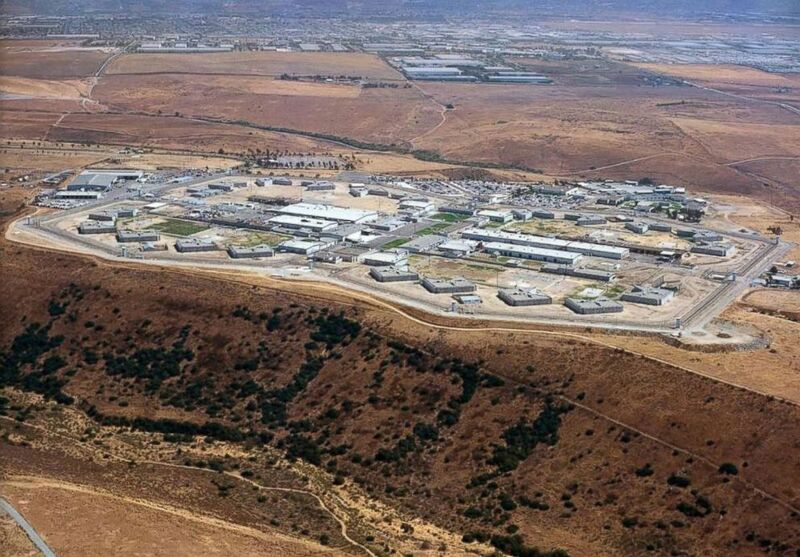 (Google Maps) An undated image from Google Maps shows the San Diego's R.J. Donovan Correctional Facility. (AP Images) In this Oct. 31, 2016 photo provided by the California Department of Corrections and Rehabilitation is Erik Menendez | In this Feb. 22, 2018 photo provided by the California Department of Corrections and Rehabilitation is Lyle Menendez. He and his brother Erik are serving life sentences for fatally shooting their parents, Jose and Kitty Menendez in their Beverly Hills mansion in 1989. The two hadn't seen each other since September 1996, when they could see each other across a prison yard but couldn't talk to each other, Rand told ABC News. While in separate prisons, they couldn't talk on the phone, but they would write letters to each other -- sometimes playing chess by sending moves via snail mail, Rand said. On Aug. 20, 1989, Lyle, then 21, and Erik, then 18, opened fire on their parents inside their Beverly Hills mansion, using shotguns they had bought days before. In the interview, Lyle admitted he would change how he handled the aftermath of the killings. "If I could take my consciousness now and go back, I would have gone to the police and taken my chances in exposing what was happening," he said. 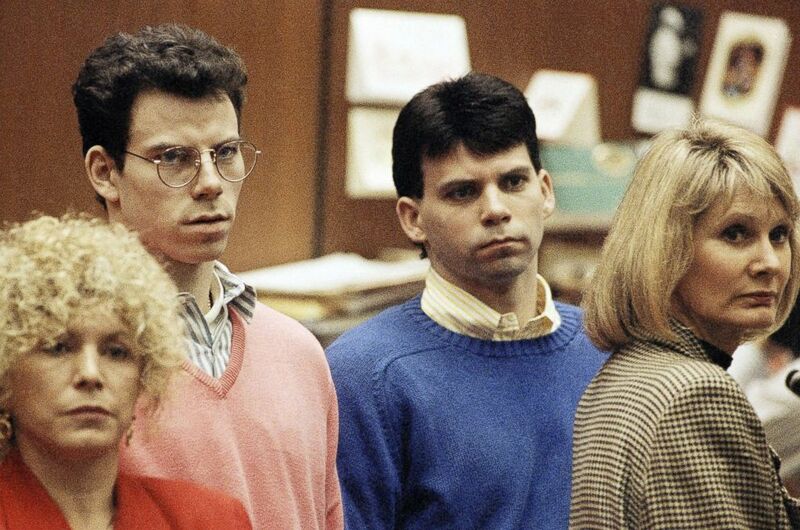 (Chris Martinez/AP Photo) Lyle Menendez, right, and brother Erik listen to a charge of murder conspiracy against them, Dec. 29, 1992, in Los Angeles. The brothers pled innocent to the new indictment which dropped the original charge that they killed their parents for money. The indictment was returned nearly three years after Joseph and Kitty Menendez were found slain in their home. The pair was arrested in 1990 after their psychologist's girlfriend went to police, claiming Erik had confessed to the murders during a session. The doctor-patient privilege was voided after Lyle threatened the doctor's life. Lyle wishes his brother would have talked to him or a member of the clergy, instead of going to the psychologist, he told DailyMailTV. "I wish that he had just talked to me, or you know, spent more time going to his parish priest, and not ended up in, sort of this therapist's hands," he said. 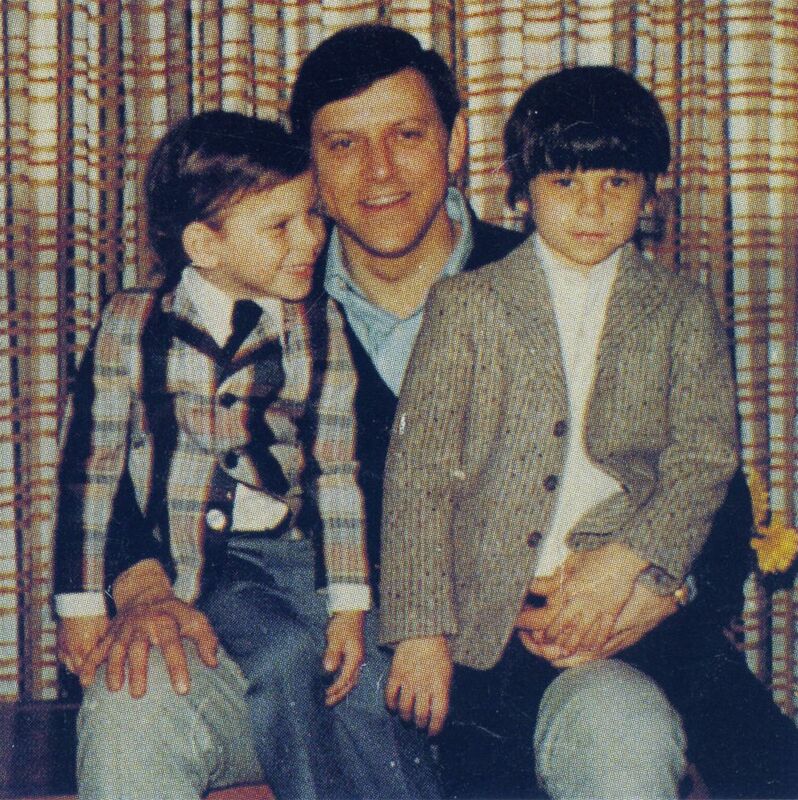 (Brian Anderson) Jose Menendez pictured with his sons, Erik, left, and Lyle. During their trial, prosecutors painted the brothers as two spoiled and privileged children who murdered their parents out of greed in an attempt to inherit the family fortune. The defense argued that they acted in self-defense after years of abuse. The first trial ended in a mistrial. In 1996, at the end of the second trial, the brothers were convicted of first-degree murder and sentenced to two consecutive life prison terms without the possibility of parole. Despite everything that's happened, the pair has "never had any moments of animosity," Lyle told DailyMailTV. "I love him deeply," he said. 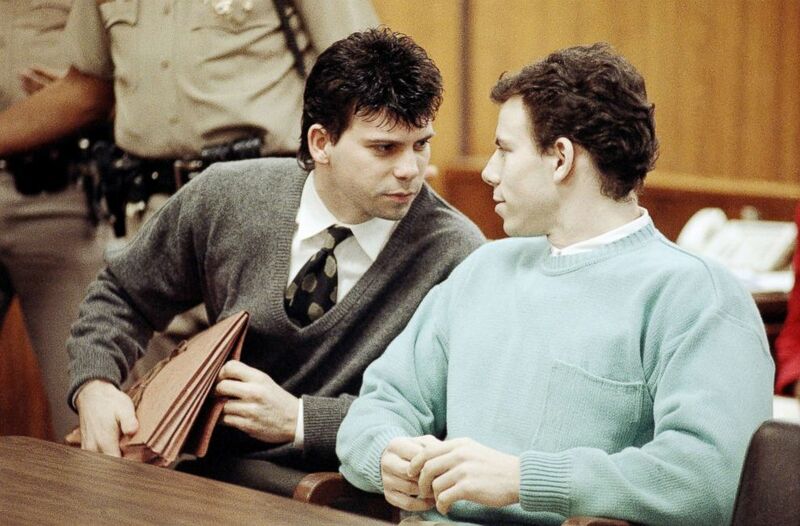 (Kevork Djansezian/AP Photo) Lyle Menendez, left confers with brother Erik during a court appearance, April 2, 1991, in Beverly Hills, California. Lawyers for the brothers won another delay of a preliminary hearing while they seek a state Supreme Court opinion on whether an alleged murder confession is protected by doctor-patient privilege. ABC News' Doug Vollmayer and Emily Shapiro contributed to this report.